Tonight from the PhotoPlus Expo, Sigma has announced the pricing and availability of its new 24-105mm F4 DG OS HSM Art lens. It will be on shelves next month, starting with Canon mounts, for the MSRP of $899. That's quite a bit less than the Canon equivalent that, for many, leaves a lot to be desired. 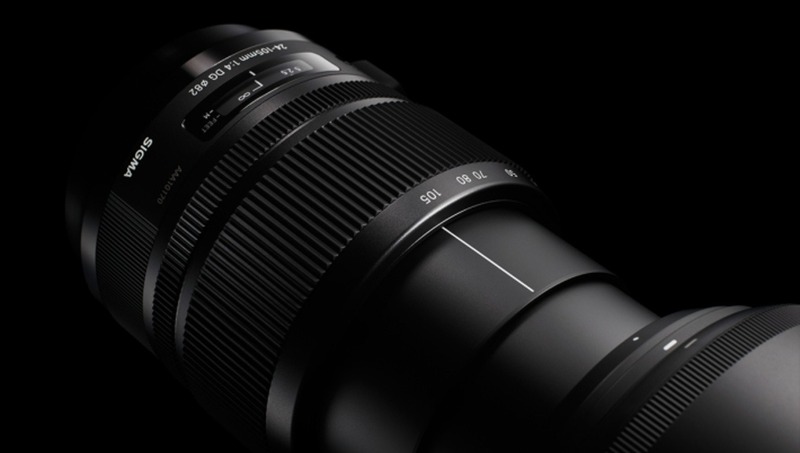 If Sigma's past lenses have been any indication of quality, we can expect it to be worth it. The full frame lens, which will also work with APS-C sensor cameras with an effective increase in focal length, will be available in Nikon and Sigma mounts in December, and Sony mounts will soon follow. All but the Sony mounts will incorporate Sigma’s proprietary Optical Stabilizer (OS) technology to compensate for camera shake. This functionality is omitted from Sony mounts to accommodate for that manufacturer’s in-camera image stabilization system. The 24-105mm F4 DG OS HSM covers the basic shooting range from wide to medium tele with an inner focusing system that eliminates front lens rotation, enhancing the lens stability and allowing the use of circular polarizing filters. Moreover, it was designed to surpass the required quality inspection of every Global Vision lens with Sigma’s own modulation transfer function (MTF) “A1” measuring system to create a new optical standard to align with the high-spec cameras on today’s market. 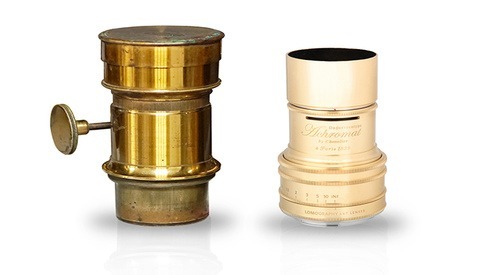 The lens offers the largest possible fixed aperture to zoom ratio that will maintain optimal integrity for many kinds of photography, including landscapes, architecture, portraiture and still-life. With a minimum focusing distance of 45cm and a maximum magnification ratio of 1:4.6, this lens is also excellent for close-up photography. 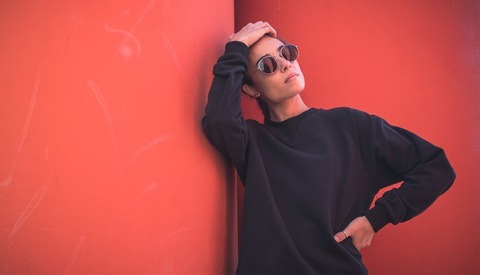 High-performance glass elements, including SLD and FLD, which is equal to fluorite, and glass-molded single- and double-sided aspheric lenses have been included into the optical system to prevent aberration, field curvature, distortions and color aberration. The 24-105mm F4 DG OS HSM lens is also able to suppress chromatic aberration very effectively at the telephoto-end, and can achieve superior image quality throughout the zoom range. Unlike lenses with similar specifications, this lens overcomes low peripheral brightness. Although it is designed for full frame cameras, it also works with APS-C sensors, giving an increase to focal length. The lens’ Hyper Sonic Motor (HSM) ensures a silent, high-speed auto focus function and enables full-time manual focusing capability. 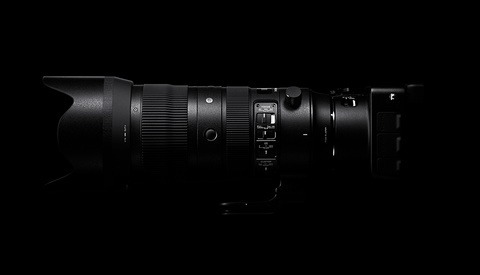 The 24-105mm is also compatible with Sigma’s USB dock allowing photographers to update its firmware and change focus parameters using Sigma's Optimization Pro software. It is also compatible with Sigma’s recently announced Mount Conversion Service. Interesting. I purchased my Canon 24-105 for $800 barely used, and you can get "white box" (repackaged from kits) and referb specials all day long for $600-700 (proof: http://www.ebay.com/itm/ws/eBayISAPI.dll?ViewItem&amp;item=360768530920)... so on the street, this lens will probably be more expensive than the canon initially. But I'm guessing it will come down in price eventually, and if the optic quality is on par with Sigmas latest offerings, it could be a big contender. Just saw one on eBay (whiteboxed) for like $650. $1150 on B&amp;H. Plenty of people don't like Used or Refurbs. Also what's the warranty like on those used and refurbs? Isn't Sigma's 5 years? Really? The Canon 24-105 leaves a lot to be desired? Owning one I'm wondering what I'm so in the dark about. And since mine came with my camera I effectively paid less than $500 for it considering the least expensive body only price I could find. Nasty chromatic aberration for one. I worked in a studio where they used this lens and the even more dismal 28-135. I'll say that the 24-105 was the lesser of two evils, but that CA! Not too pretty at 24 or 105 either. I worked with that lens for so long that I can spot a Canon 24-105 clear across the internet, at web res no less. If Sigma makes their version anything like their 35mm f/1.4, it's a no-brainer, you get the Sigma. Sigma keep on giving us good news. Only thing missing is a review and some test shots. This will make the 24-70 f2.0 about US$1200....what do u think? Assuming that's real lens, no. A 24-70 f/2.8, yes. A 24-70 f/2, no way in hell. Cooooool beeanzs. Sigma is turning out to be the beez kneez lately. if they keep this up they could take a lot of market share. i'm looking at getting that 18-35 1.8.